The best parties in just got better. 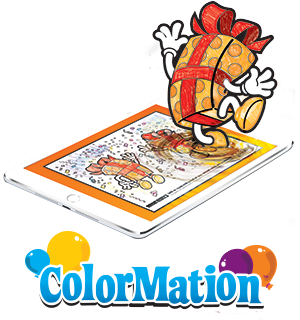 ColorMation™ is now part of every party at BounceU, which means your birthday child will be the star of our one-of-a kind party room celebration! Your child will receive an oversized, interactive birthday card, featuring 4-D technology. This virtual experience allows the special birthday kid to fire confetti cannons and ignite fireworks as BounceU characters cheer for the show that only they can create. Now is the perfect time to start planning!